We are wrapping up our unit on data analysis and probability. I’ll be honest, unless it is pretty straight forward, probability is not my strongest area. I had to do some relearning! 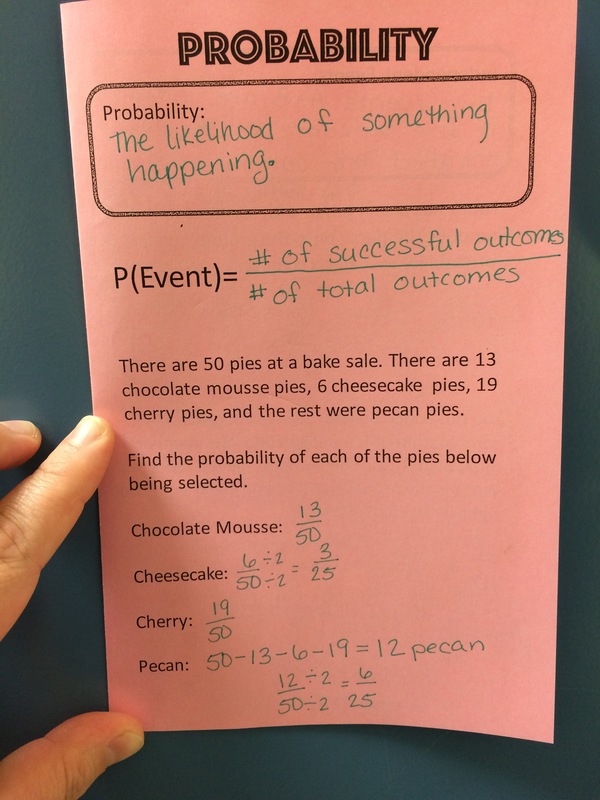 Earlier in the year we touched very briefly on probability and we talked about probability trees. My students kinda understood these tree diagrams, but it still confused many most of them. We worked on understanding probability through the use of area models. This made a lot more sense to them than trying to use a probability tree. Here is a model. A area model representing rolling a dice and flipping a coin. This was more visual for my students and made a lot more sense. The problem was that it only works for a two event situation. It will not work for three or four events. That means that when students get to a more complicated situation where they have to calculate the probability this strategy will not work. However, since two events falls within the scope of our standards, I have chosen to continue with this model. 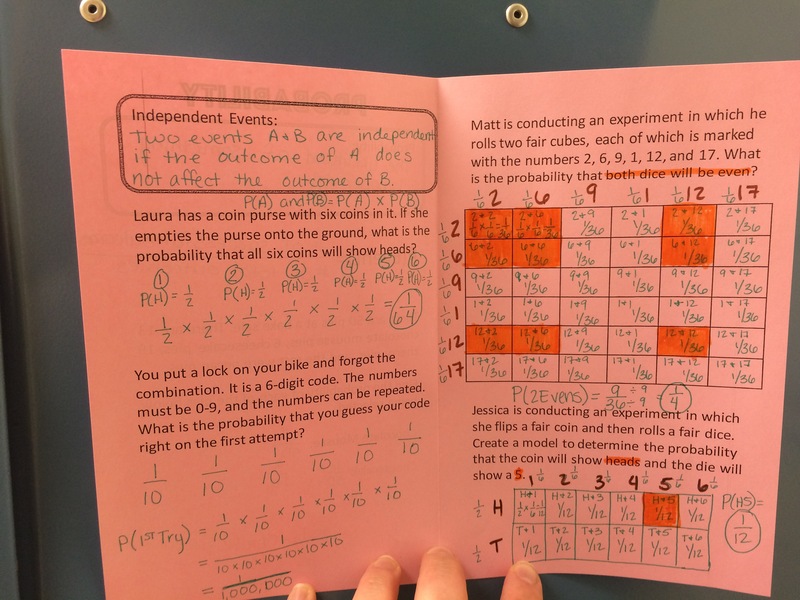 This also made it easy to highlight areas where the desired outcome occurred and then count the squares of the total number of outcomes possible. Since my students need to see examples similar to those that they will be expected to complete during the assessment, I created a foldable for them to fill out. In my room, I am fortunate enough to have a document camera that I used to fill the foldable out on the board. We then added these to our interactive notebooks. Here is the foldable that I created. For many of my students this helped to organize our thoughts and strategies. There are some things that I would like to tweak about it, but it was a decent place to start. Here is the pdf for the foldable.